Michelle even took to Twitter to share a photograph from the evening. 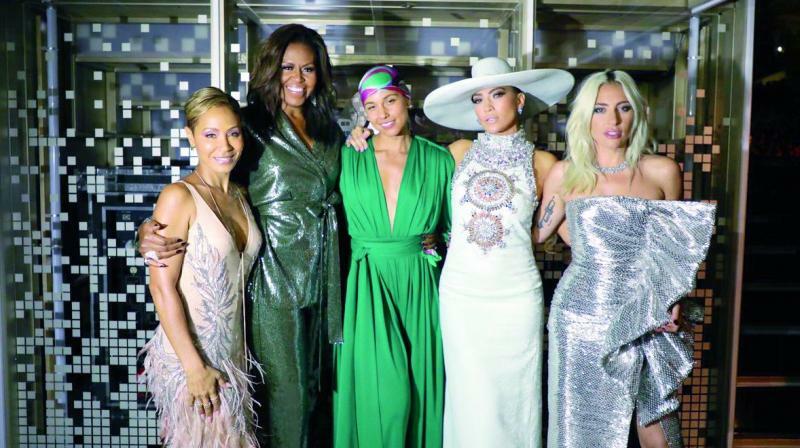 Jada Pinkett Smith, Michelle Obama, Alicia Keys, Jennifer Lopez and Lady Gaga. Former US First Lady Michelle Obama got a hero’s welcome during a surprise appearance at the Grammy Awards on Sunday night. Michelle appeared on stage at the Staples Center to help open the annual awards show along with Lady Gaga, Jennifer Lopez, host Alicia Keys and Jada Pinkett Smith to explain what music has meant to them, reports EveningStandard.co.uk.